SCVHistory.com | Public Agencies | Governor Signs Wilk Bill Creating Santa Clarita Valley Water Agency. Gov. 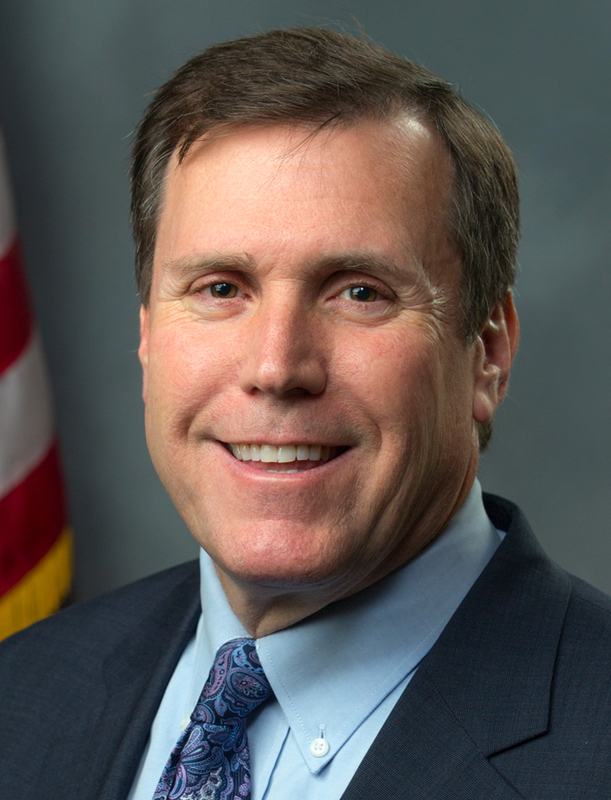 Brown Signs Wilk Bill Merging SCV Water Agencies. SCVNews.com | Sunday, October 15, 2017. With the stroke of his pen Sunday, Gov. 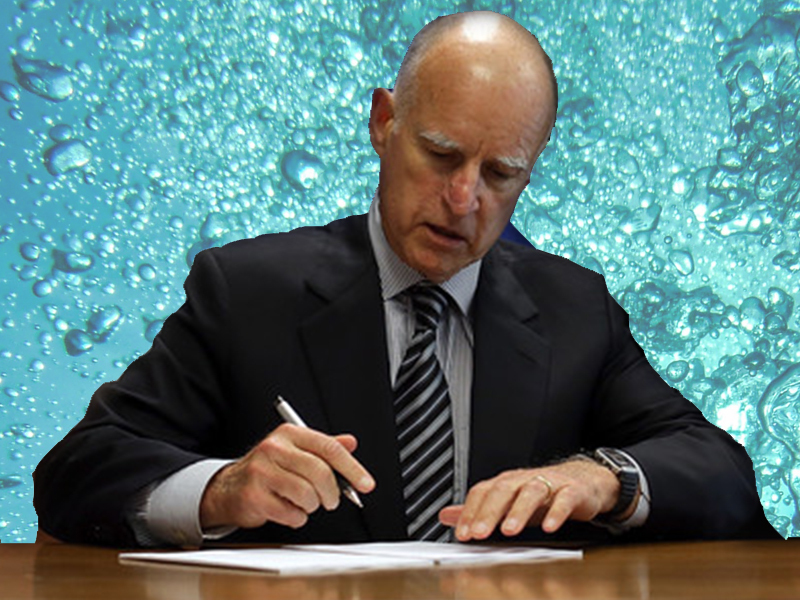 Jerry Brown eliminated the Castaic Lake Water Agency and Newhall County Water District and replaced them with a new water agency for the Santa Clarita Valley. The new agency will assume the duties of CLWA and NCWD and serve the entire valley as both a state water retailer and water wholesaler — except in Val Verde, where customers will continue to purchase water from the L.A. County-controlled Water Works District 36. CLWA, which formed in 1962 as a state water distributor, has been functioning as both a wholesaler and retailer in part of its service area since 1999 when it purchased the once-private Santa Clarita Water Co. from Saugus homebuilder Bill Bonelli's heirs. In 2012 it also bought The Newhall Land and Farming Co.'s water retailer, Valencia Water Co., which has continued to function as a separate retail arm of CLWA. Both acquisitions survived court challenges by local environmental activists who have questioned CLWA's water supply projections. Newhall County Water District was originally Newhall Water Co. in 1913. It became a public agency in 1953 when it still served only Newhall. As urban sprawl occurred in recent decades, NCWD started serving unconnected "pockets" of the SCV — notably Castaic, Tesoro del Valle and eastern Canyon Country — with its own patchwork of water transmission lines and pumping stations crisscrossing Valencia and Santa Clarita Water territory. "Thank you to Senator Scott Wilk, Castaic Lake Water Agency and Newhall County Water District for your vision and hard hard work. I know we have additional work ahead," NCWD Board President Maria Gutzeit said in a social media post. "I think you have to salute the board of directors for (CLWA and NCWD) to realize what's in the best interest of our ratepayers," Wilk, R-Santa Clarita, told KHTS AM-1220, "and for them to come together after years of litigation to create this new agency." The two agencies had been at odds. NCWD was suing CLWA over a hike in the wholesale water rate. At one point, CLWA countersued, accusing NCWD of a procedural violation. The countersuit was thrown out, but the underlying rate dispute continued. NCWD challenged the legality of CLWA's acquisition of Valencia Water Co. and accused CLWA of raising rates to fund the purchase. Ultimately the two agencies decided to settle their differences through a merger. Brown signed the bill without issuing a public statement. Wilk's legislation, SB634, cancels the CLWA's enabling legislation and authorizes the new agency to "provide, sell, manage, and deliver surface water, groundwater and recycled water at retail or wholesale within the agency's territory." All assets of CLWA and NCWD become property of the new "Santa Clarita Valley Water Agency," and all employees of CLWA and NCWD are automatically employees of the new agency. The new agency "may continue to levy, impose, or fix and collect any previously authorized charge, fee, assessment or tax approved, imposed and levied by the Castaic Lake Water Agency or the Newhall County Water District, or both, including but not limited to any rates, fees and charges for the provision of water." The new agency must continue to provide state water to District 36. The law requires the new agency to dissolve Valencia Water Co. as a separate entity and absorb it in the first half of 2018. For electoral purposes, the new agency is divided into three geographic regions. Initially, its 15 members will be the five elected members of the NCWD board and the nine elected members of the CLWA board, plus one appointed seat for District 36. "Economic impact and efficiency studies found that the new district will generate millions of dollars in savings, create more transparency for the ratepayer and enhance environmental and watershed protections," Wilk said in a previous statement. "Late last year the boards of the Castaic Lake Water Agency and Newhall County Water District voted to dissolve the two agencies and create a new valley-wide water agency," Wilk's statement said. "Senate Bill 634 is the fruit of those negotiations." The legislation "brings a large, private water company into public ownership (Valencia Water Co.), adding transparency requirements and voter control where none exists today."